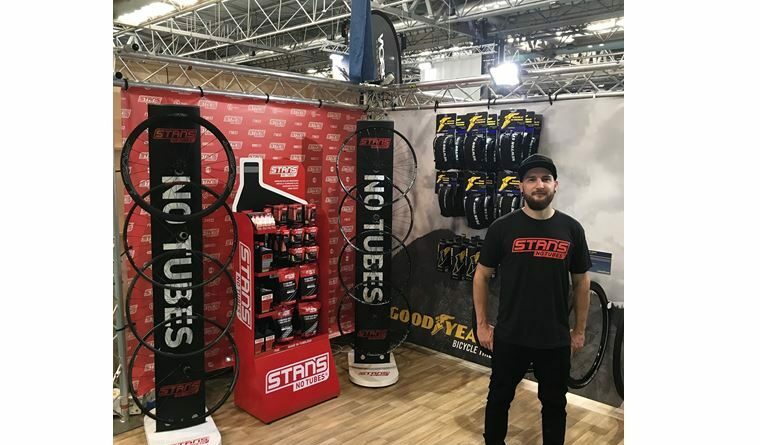 With both Stan’s NoTubes and Goodyear now with its distribution portfolio, Paligap has ramped up its commitment to the tubeless sector with a new ‘bestseller’ POS unit, a new Brand Manager and two new sales and merchandiser personnel. Stan’s NoTubes has been distributed by Paligap over the last 12 years, servicing 1,000 UK dealers. 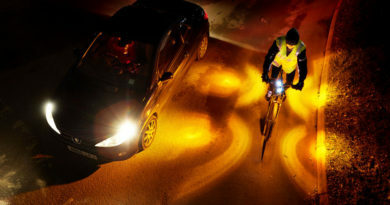 The partnership with Goodyear, revealed this spring, came after the tyre giant announced its second foray into cycle tyres after a 120 year hiatus. 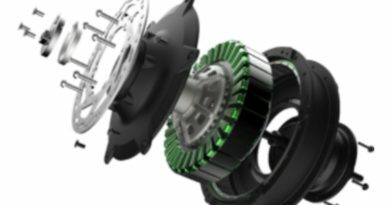 Goodyear’s line up is based around tubeless compatibility offering the full range in a ‘tubeless complete’ specification. 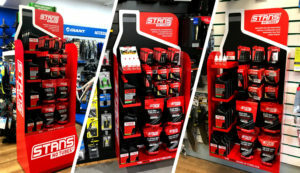 Now in a move to capture the growing market of tubeless converts, Paligap has introduced a new POS unit to the UK, housing the top 12 bestselling lines from the Stan’s NoTubes range, including the UK distributor’s house packaged Stan’s NoTubes Tubeless Kits for both mountain and road customers. The unit is available free standing or in a slat wall mounted format and offers an increased margin for dealers with a 90 day money back guarantee. 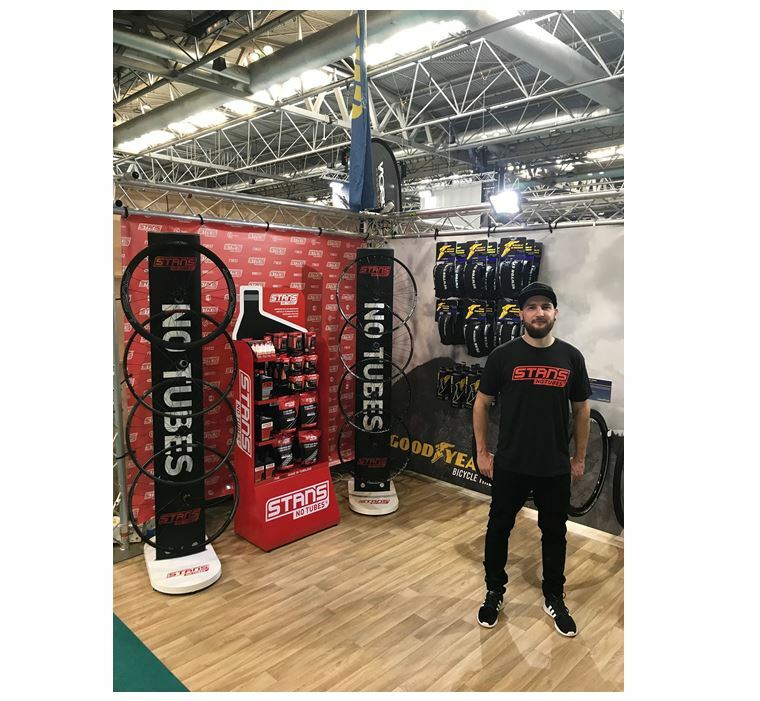 Paligap has also employed a new Brand Manager; Diego Di Napoli, to oversee the Goodyear and Stan’s NoTubes brands, replacing Ben Evans who has decided to take a nine month sabbatical, traveling the world. 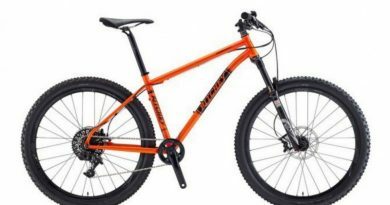 To bolster this new team and support growth in the tubeless market, Paligap has also employed North (Thomas Wild) and South (Pim Ramselaar) Sales and Merchandisers. They will be traveling the country providing training for dealers on Goodyear and Stan’s as well as helping to merchandise brand displays and selling product.